We’re pretty excited about this game, and the components have only ramped up that excitement! Great art, well-thought-out components, and nifty plastic bits! We would LOVE it if you subscribed to our YouTube Channel, as well as the blog (which you can do right over there on the right!). You can also stalk… errr I mean follow us on Facebook, Twitter, and Instagram. We’re also podcasting these days over on the iTunes! Let us know if you’re getting this game! Why? Why not? Let’s chat, folks! Yes! Especially after punching everything out!! Hat might be the way to go. I guess my one complaint about the box is that there was no insert for everything to fit into. Always awesome to see a Game getting unpacked and coming to life for the first time! great video! Thanks for sharing. 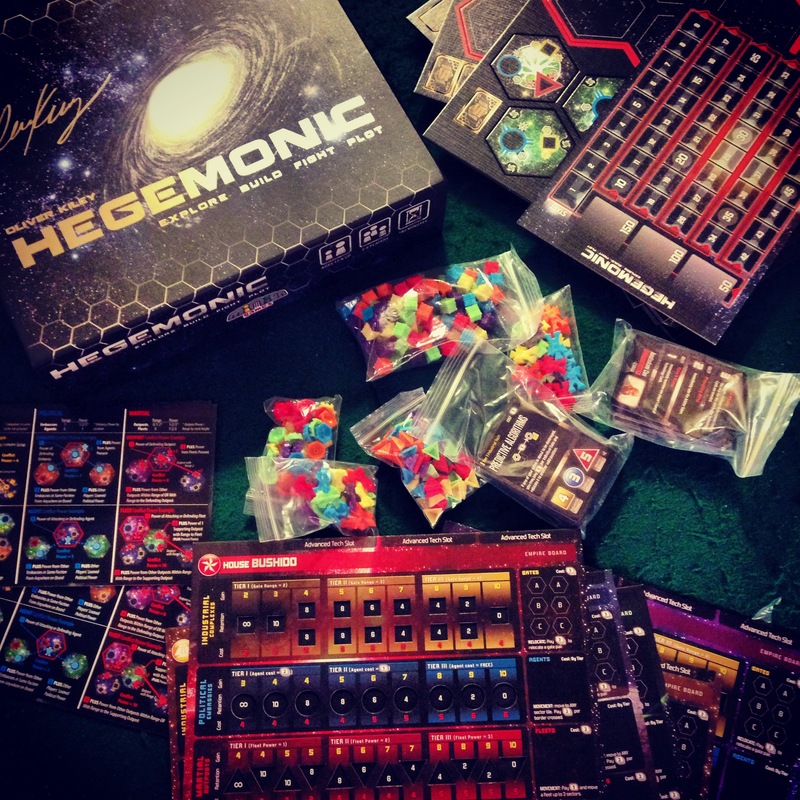 I had heard of Hegemonic but until now, had never seen it! After your review I am most assuredly going to have to check out this bad boy! Thanks again for the entertaining and informative video!